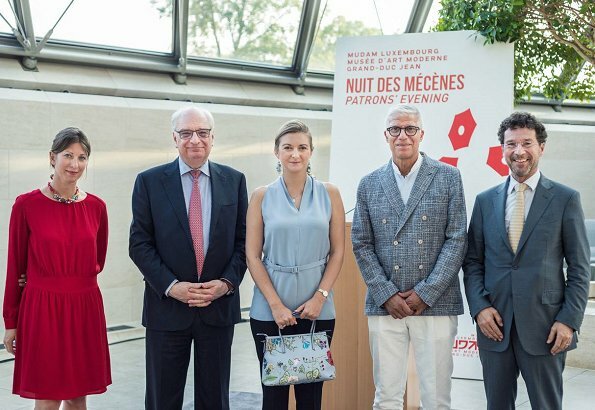 Hereditary Grand Duchess Stephanie of Luxembourg attended the MUDAM's (The Grand Duke Jean Museum of Modern Art) "Nuit des Mécènes" event. 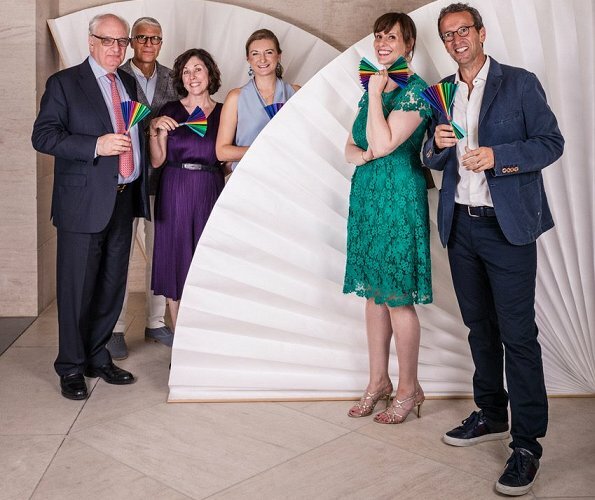 Every year Mudam-Lux organises the Patrons' Evening, (Nuit des Mécènes) with the aim of thanking its patrons, donors and sponsors. The 2018 edition took place last Tuesday. 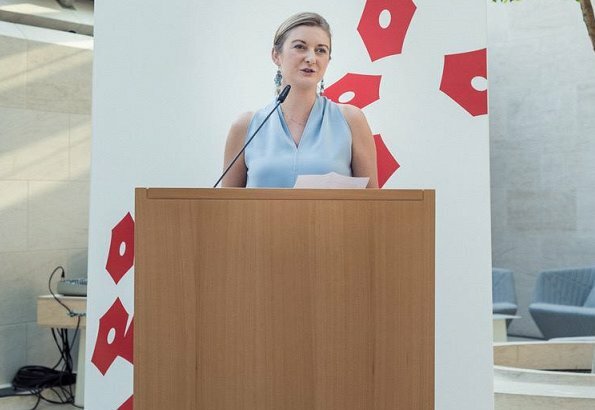 Hereditary Grand Duchess Stephanie is the president of Mudam. Nice and ease for a Museum event, she looks good. Beau sourire de Stephanie 😊... Comme toujours. Love her blouse and LOVE her purse! A lovely look. The trousers are fitted well, the top is lovely - a really nice colour - and her bag is pretty. Princess Stephanie of Luxembourg looks fabulous. She’s a sweet lady but dresses like a middle class 65 yr old woman. It’s a shame because she has lovely complexion and hair.